Whether it is a washing machine, an electric pressure cooker, a rice cooker, the role of household appliances that are closely related to our lives and diets is becoming more and more important at home. And these appliances are related to the material of stainless steel. Among the commonly used electrical products, the laser cutting machine is mainly used for drilling and cutting of outer casing metal parts, plastic parts, metal parts (metal parts of the metal sheet, which account for almost 30% of all parts) of washing machines, refrigerators, air conditioners and others. For example, it is possible to cut and process thin steel plate parts, cut air-conditioning metal parts and metal covers, cut and punch holes in the bottom or back of the refrigerator, and cut metal hoods of range hoods. We all know that the traditional cutting process on stainless steel has the features like tool wear, low processing efficiency. And it is prone to problems such as burrs, surface roughness, and deformation. In contrast, the advantages of laser cutting process have become a common choice for stainless steel processing enterprises. Oreelaser will take you to know some advantages of fiber laser cutting machine in processing stainless steel. It is not affected by the hardness of the material when the laser cutting equipment cutting for its characteristics of the laser. It is an advantage that traditional equipment has no way to compare. Laser cutting can be used to deform steel plates, stainless steel, aluminum alloy and hard alloy plates without deformation cutting. The laser cutting equipment is used to process the stainless steel plate, which adopts the non-contact processing method, does not affect the deformation of the work piece, and the progress of the next process. Besides that the cutting surface is smooth after the laser cutting process without secondary treatment. The laser beam is focused into a small spot, so that the focus reaches a high power density. The material is quickly heated to a vaporization level, and the holes are formed by evaporation. The laser beam quality and the positioning accuracy are high, so the cutting precision is also high. The laser cutting machine cuts stainless steel without loss, the photoelectric conversion rate is high, and the processing cost is also low. Therefore, there is no need to maintain the fiber laser cutting machine. 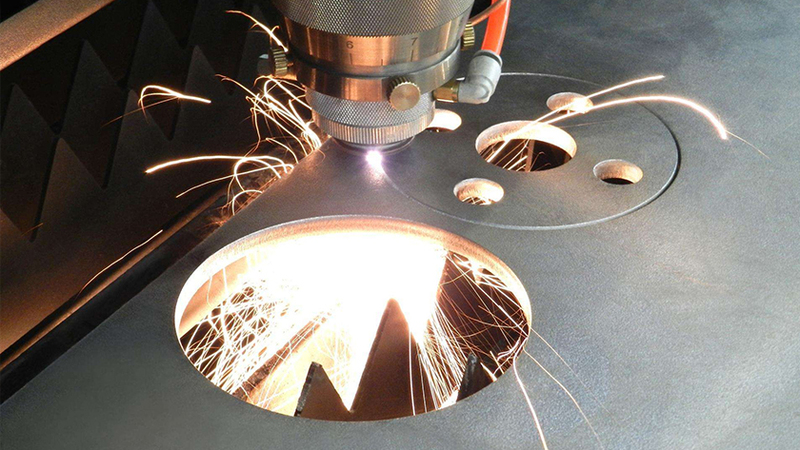 In addition to the incomparable flexibility and processing accuracy of traditional cutting, chamfering, opening and trimming, the laser cutting machine can also realize customized and personalized high-volume production. Because the laser cutting machine adopts “contactless processing”, it does not need mold making and cost, and the processing graphics are made by software and various patterns, so it can effectively improve product quality, reduce production cost, and conform to the company's production customization and refinement demand. At present, the penetration rate of laser cutting machine in the home appliance manufacturing industry is far from enough. 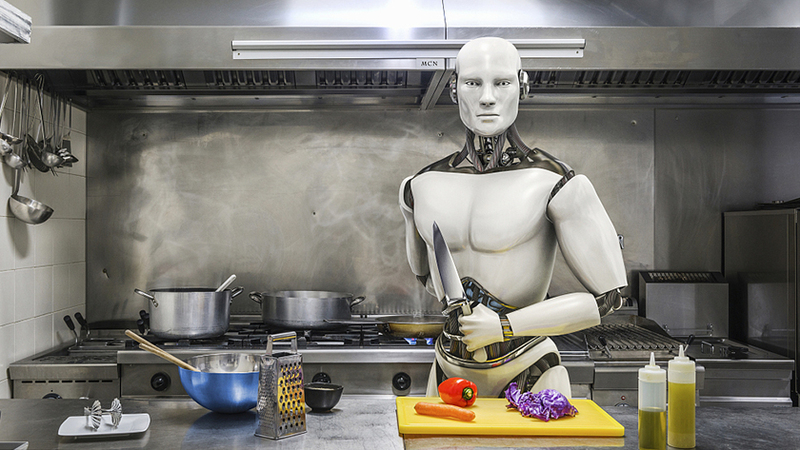 However, with the development of modern technology, the traditional processing technology of the home appliance industry is continuously transformed and upgraded. Whether laser cutting improves the processing quality or optimizes the appearance of the product, the competitiveness is gradually improved, its importance has gradually been recognized by manufacturers. It can be concluded that the application of laser technology in the home appliance industry will become more and more extensive, and its development potential and market opportunities will be immeasurable. PREVIOUS Two major reasons for laser nozzle failure during laser cutting ?